Quote of the day: The more I realize. 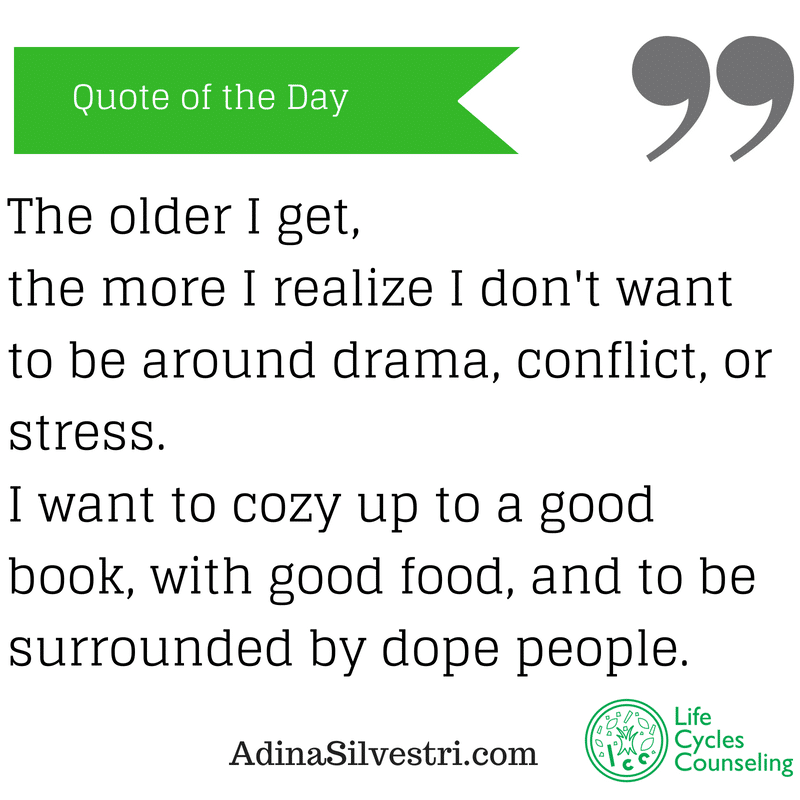 The older I get, the more I realize I don’t want to be around drama, conflict, or stress. I want to cozy up to a good book, with good food, and to be surrounded by dope people.